It is often said the life of a footballer leaves them with plenty of spare time. Train in the morning, eat lunch at the training ground then the rest of the day off is often the daily routine of a professional football player so with so much free time, what do players get up to? We decided to find out what members of the Spurs squad get up to. Fortnite is an online computer game that since its release in 2017 has taken the world by storm. Players can team together, play last man standing, roam free, or build fortifications in a huge online world and it seems it has made its way into the Spurs dressing room. Harry Kane and Dele Alli have both taken to the game and even took part in a Fortnite live stream on YouTube in April 2018 to profess their love of the game. Probably one of the most common footballers past times is to hit the golf course after training. 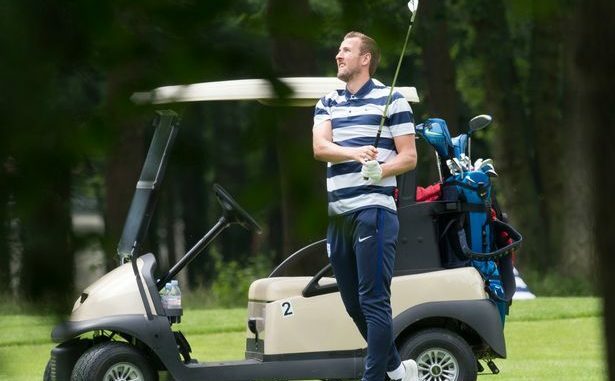 Again, it seems striker Harry Kane likes to keep himself busy along with banging in the goals for Tottenham and jumping on Fortnite, it turns out that England’s main hitman is also a dab hand on the golf course. Rumour has it that Kane has a handicap of just four which is impressive although he is not the only one who fancies himself on the fairways. Midfielder Eric Dier, Denmark’s Christian Eriksen, and Welshman Ben Davies are all said to be Spurs players who take to the greens on a regular basis. As if playing real football every week was not enough, now Spurs players seem to have an addiction to playing with the virtual version of themselves as well. Numerous Tottenham players make clear their FIFA gaming exploits and unsurprisingly Harry Kane is another FIFA advocate as is Fernando Llorente, Davinson Sanchez, and Mousa Dembele who all took part in a FIFA 19 no rules competition in September 2018.